Anna’s lawn essential launched its 2012 collection a week ago. Anna’s lawn essential 2012 collection consists of digital prints with chiffon duppata. Fabrics for full three piece suits are included in this collection. Digital prints are in fashion in Pakistan these days. Thus, we are sure that Anna’s lawn essential 2012 collection will be successful. Mostly whites, blacks and purples have been used on the prints in Anna’s lawn essential 2012. This color combination is quite unique but is nice. You can make stylish dresses like anarkali frocks with churidaars with these prints. Anna’s lawn essential is a brand by Design Network Pvt. Ltd. This company was formed in 2011. It manufactures and supplies high quality women wears and unstitched fabrics. Many women have liked the work of the brand and it has become quite popular in one year. 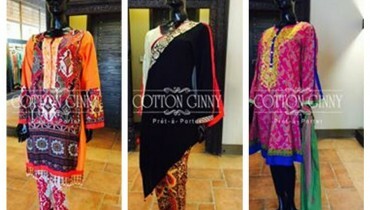 The brand focuses on providing designs according to the latest style in Pakistan. It aims to provide customer satisfaction and give a vast variety of designs. The fabric it provides is indeed of high quality. The brand is famous particularly for its digital printed suits. Currently, it does not have retailers but you can contact it through Facebook or email. Anna’s lawn essential 2012 collection can be seen in the pictures given below. 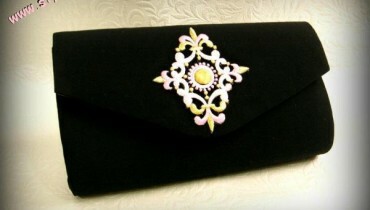 Have a look and if you are interested, go to the Facebook fan page of the brand. You will get more details about Anna’s lawn essential 2012 collection there. You can also interact with the brand’s representatives through this Facebook fan page. The page’s address is below. Do check out the page and get to know more about Anna’s lawn essential. You can also check out their website or email the brand for more information. The email address and website address is also available on the page.